As Dulux Trade Select Decorators, our workmanship and the materials we use all come with a comprehensive guarantee, giving you the peace of mind you deserve. What could be more reassuring than using a professional decorator, personally recommended and guaranteed by ICI Paints? This is now possible because Dulux Trade have invited professional decorators who pass their rigorous vetting procedures to join Dulux Trade Select. All members of Dulux Trade Select have promised to abide by a code of practice, which – in short – ensures that you, the consumer, can be confident of a high quality job carried out within the agreed time scales for a fair and reasonable price. The high standards of a Dulux Select decorator’s work, combined with the proven quality of Dulux Products, enables ICI Paints to underwrite and guarantee that painting and decorating work. 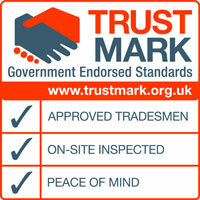 This guarantee covers work carried out on domestic/residential dwelling places and on commercial premises. Dulux Select decorators are skilled professionals whose abilities and skill – from the initial preparatory work to the final coat offer a high standard. And for peace of mind you can be certain that their work will comply with any of the relevant regulations, such as those laid down by the Health & Safety Executive. You can trust a Dulux Select decorator to use only good quality materials, which are appropriate for the job. A Dulux Select decorator will not skimp or take short cuts to keep his costs down. All quotes or estimates will be given in writing, and will include a detailed specification of the work to be done. There will be no hidden costs – prices will be fully inclusive of VAT (if applicable), material, labour and clearing away of debris. A Dulux Select decorator will quote you a fair and competitive price for the job. If you are comparing quotes make sure you compare like with like. Beware – a “better” price from another decorator may be at the expense of vital preparatory work, or may mean using lower quality materials, which could affect the final results and the durability of the work. You may be asked to make an advance payment to cover the cost of materials required for the work. If so, ask for a written receipt, itemising the brands and products this deposit covers. If you have paid a deposit to cover the cost of Dulux Trade Products, the Dulux Deposit Protection Scheme automatically covers you. This means that in the unlikely event of insolvency of a Dulux Select decorator, you will not lose out – because on production of your original receipt, Dulux Trade will supply free of charge the materials for which the deposit was given. Dulux Trade Select will also put you in touch with an alternative Dulux Trade Select decorator who will complete the job at the previously agreed price. Please note: in the unlikely event of the Dulux Select decorator’s advice being declined or if he/she is asked to carry out work” in a way which, in their professional judgment, they believe will lead to a sub-standard result a Disclaimer Form will have to be completed by both parties taking the job outside the scope of the ICI Paints guarantee. All Dulux Select decorators carry adequate insurance cover, including public liability – so you won’t have any extra worries if the unforeseen happens. Rest assured – a Dulux Select decorator won’t leave your house a mess! All furniture, fixtures and surfaces not to be painted will be adequately protected. You house will be left clean and tidy, and any debris will be removed. There is a procedure in place for dealing with any complaints, should they arise. This procedure is managed by ICI Paints. If a dispute occurs between a Dulux Select decorator and their customer in connection with decorating work carried out using Dulux Trade products, a meeting of conciliation supervised by a Dulux representative can be arranged. If conciliation fails, Dulux has made arrangements with the Chartered Institute of Arbitrators to provide members and their customers with an arbitration service. Both parties in the contract have the option at all times to commence legal proceedings should they wish to do so.